One of our chief strategies for combating the waste problem in Kuna Yala was to launch small recycling enterprises centered around collecting and selling recyclable materials on the islands, including aluminum cans and plastic bottles. 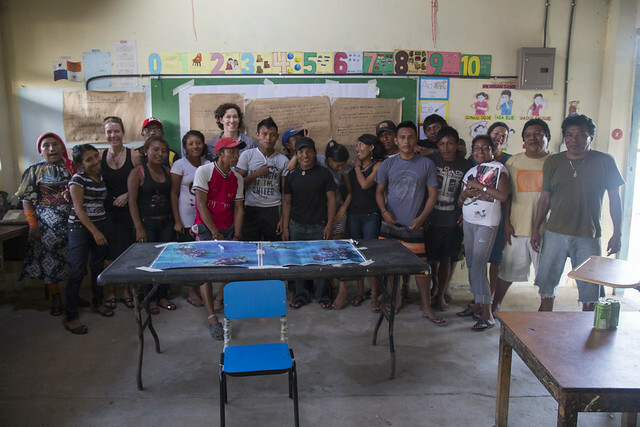 To create the businesses in partnership with the local communities, we held a series of three entrepreneurship training modules on each of the four program islands. The purpose of the training modules was to create a shared vision for the recycling enterprises. We also worked on a business plan for the recycling enterprises in order to make the recycling supply chain sustainable and economically viable. 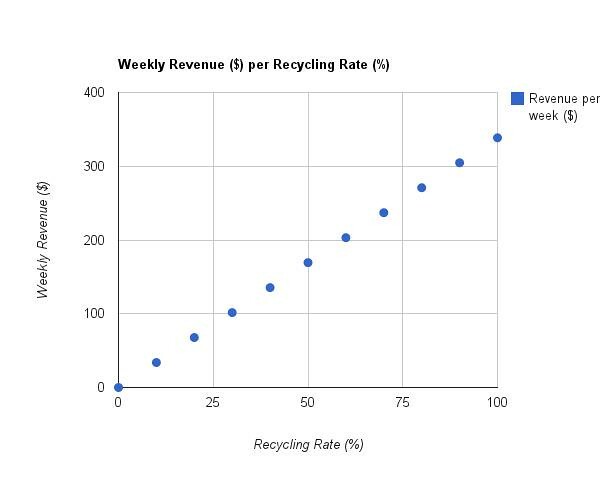 We analyzed the supply chain based on estimates of a number of factors such as numbers of aluminum cans generated by each resident, rate of recycling, commodity price of aluminum, and daily wage. In the end, we decided to create a system akin to redemption centers by paying residents one penny for each can collected. Our hope is that it will be enough to encourage residents to collect aluminum cans while also making a profitable and sustainable business for the recycling associations. Creating a viable business model had a number of challenges due to the large number of varied and uncertain inputs. Additionally, the Kuna cultural focus on cooperative business structures also posed to be an obstacle as there is not enough money generated by the recycling businesses to pay reasonable salaries to a large number of people. Therefore we are providing the island communities with three separate business models, which they can choose from. While the business plan will undoubtedly evolve over the course of the sixteen month project, we hope that the calculations and ideas that were generated during the training modules will help shape the way the business is implemented and inspire the creation of other Kuna waste sector enterprises.